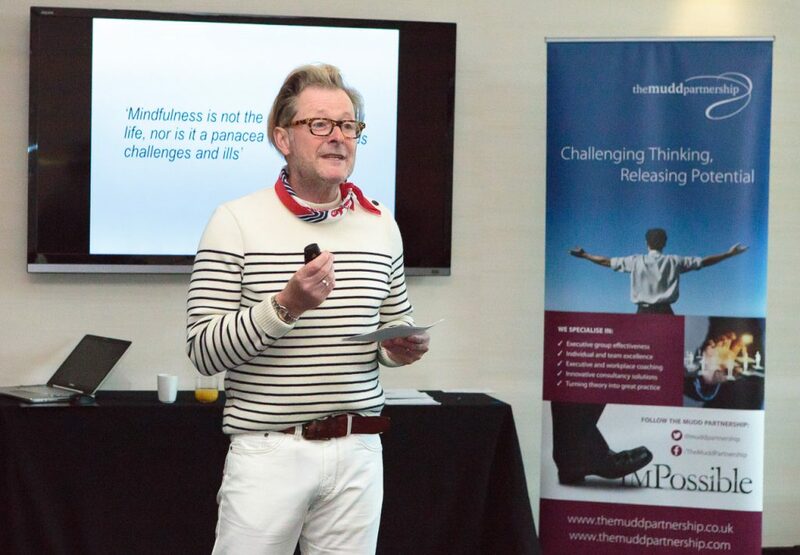 Paul Mudd, of The Mudd Partnership, uncovered how mindfulness can help in business and life in an energising and inspiring presentation. Over the last few years you’ve probably heard of mindfulness and that you should be doing it. But why? What is it? What are the benefits? And how can you do it? ‘Leadership Provocateur’, thinker and disrupter, bestselling mindfulness author, Paul Mudd answered all those questions and more by looking at the universal and the particular, the personal and the professional, the theory and the practice. And inspired several attendees to start their own Mindful Journey. For more information about mindfulness and the other consulting services The Mudd Partnership offers, you can visit their website. NEXT EVENT: The Club’s next event is June 6: when Gerry Grant, Chief Ethical Hacking Consultant, at Curious Frank, the cyber section of the Scottish Business Resilience Centre, will explain how to maximise your cyber resilience.